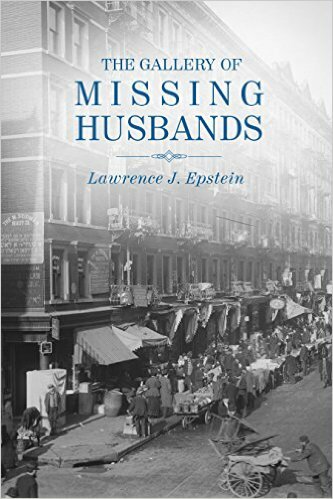 The book is titled The Gallery of Missing Husbands. The title refers to a weekly section of the newspaper Jewish Daily Forward. The Gallery consisted of mostly grainy pictures of men who had abandoned their families. The novel opens as the protagonist, Daniel Levin, witnesses the death of the area’s greatest psychic. Asked by the victim’s attractive sister-in-law to investigate, Levin uncovers a web of romantic deceits, blackmail, and murder. His investigation leads him to a midnight break-in at the city morgue at Bellevue Hospital, an anarchist determined to avoid being forced back to Russia, a corrupt police officer filled with hate, and a friendship with a crime reporter. Eventually, Daniel understands the complexity of missing husbands and fragile families. Beyond solving several murders, Daniel has to deal with a debilitating personal problem. He feels guilty about what he believes was his responsibility in his mother’s suicide. The setting in the novel is crucial. From dead horses in the street to surly waiters in restaurants, I try to provide readers with a sense of walking through the Lower East Side during the era of the novel’s setting.